With innovation comes a dark side. Security practices in our modern computing era haven’t kept pace with enterprise innovation and APIs. API strategies are too commonly based solely on integration and management platforms, and not based on API security threats. Furthermore, the absence of explicit API Security technology deployed to protect against API threats leaves APIs exposed, insecure, and vulnerable to attack and compromise. Legacy cyber security technologies do nothing to stop API threats, because they were never designed to. 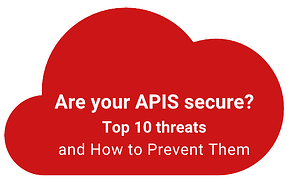 In Top 10 API Threats and How to Prevent Them we will look at ten of today's most common API hacks and how the Forum Sentry solution can stop them from penetrating the information border of your enterprises infrastructure.